Now the personal homepage has powerful functions that we never had before. We would like to invite you to try these new bagging experience. 1. If you see upcoming bags from people you follow and they inspire you, you can search your bags at the sidebar. For example, when Oliver saw the Google phone bag published by John Wright, he searched Google and found he had created five bags about Google. 2. 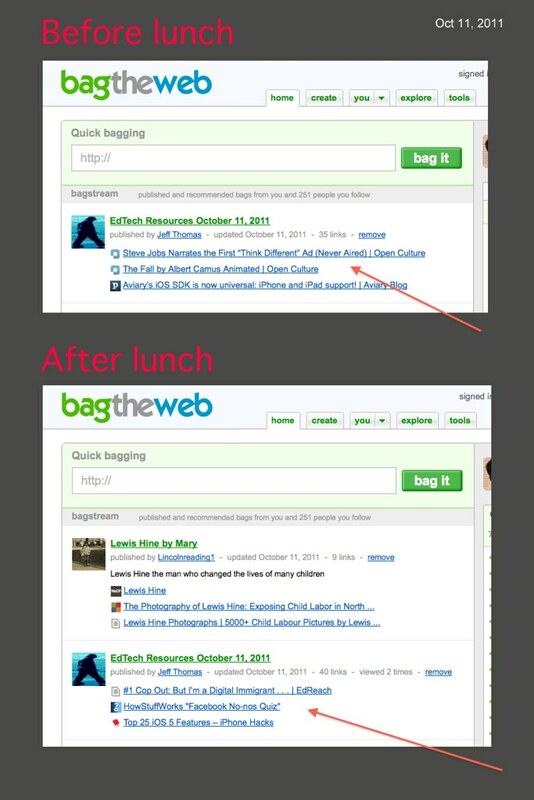 You can right click on a link within bagstream, copy and paste it to Quick-bagging box, then bag it. At that time, you can decide if you want to add the link to a new bag or existing bags. 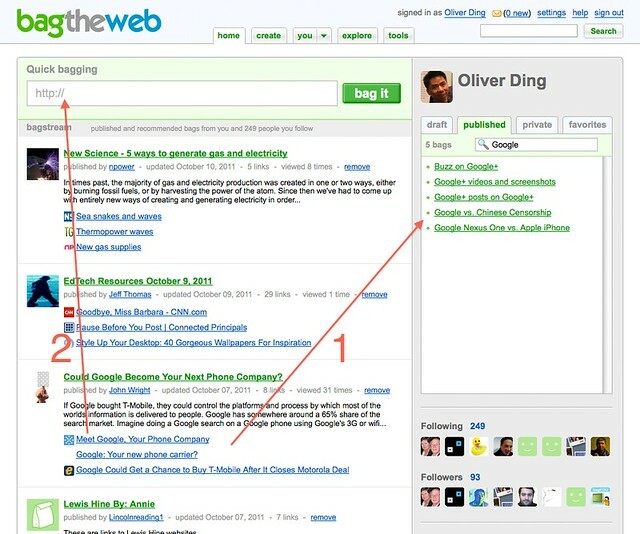 Before lunch Oliver saw three links come with a bag published by a user he follows. After lunch, these three links have been replaced by three new links because that user just updated the bag by adding new links.